Earlier this week, my co-author for the Stuart’s Ride book, J. D. Petruzzi, unexpectedly received a large pile of copies of articles from the Baltimore American newspaper from June and July 1863 from the researcher that we use to find things for us at the Library of Congress. Never mind that our researcher has been aware of this project for more than a year–he just now got around to sending us this stuff, right at very last possible moment. To our surprise, J. D. found a number of really useful articles for the project in this pile. In particular, we were able to flesh out our discussion of Corbit’s Charge at Westminster, MD a great deal thanks to some of this newspaper coverage. The problem is that we are in the final page galley stage; the book is nearly finished being laid out. Adding this material was much more difficult that turning on the “track changes” feature of Word and then typing it out. Instead, we had to carefully prepare the inserts, show Ted Savas, our editor/publisher, where they were to go, and then hope that Ted got it right. It was a big deal for Ted to do this and to get it right. Ted tried, but the endnotes for one of the chapters got all bollixed up. It’s NOT Ted’s fault–it was actually a pretty major job, and it’s not a huge surprise that things got bollixed up. I just spent an hour going through the galley of the second chapter and then going through the endnotes in order to make sure that everything matched up the way it was supposed to. Since I was the primary author of that chapter, I was the logical choice to do this, and not J. D.
Let me tell you, I now have a world-class headache from it. It was a major chore doing that, and it was also essential that it be done correctly. The very last thing that we want is for the notes to be all wrong, and for some reviewer to catch the fact that all of the notes are wrong, and give us a bad review as a consequence. So, I had to be very, very careful, and I think that they’re all correct now. Poor Ted. He must have been about ready to pull his hair out by the end of it, and I know that he threw his hands up about the endnotes, which is why he threw it back in our lap in order to make sure that we’d gotten it right. J. D. and I have both said this before: we’re lucky to have Ted as the publisher on this book, as I doubt that anyone else would have permitted us to make such substantial additions at the very last minute, as we just did. Thanks, Ted. We really appreciate your dedication to publishing the very best book possible. In February, James L. Swanson published his book Manhunt, which is a narrative of the pursuit and ultimate killing of John Wilkes Booth by Federal forces. The book covers a period of twelve days, and is the most detailed narrative of these events yet written. This book has lots of problems. First, and foremost, the author states specifically that he takes liberties with sourcing. He adopts the old “I don’t want to bog down the reader with frivolities like notes” trick, which many do when they’re trying to cover up the lack of depth of their research. This book fails to meet my tests for academic standards, which makes it difficult for me to endorse it. At the same time, it’s a fabulous read. Swanson’s style is easy and fast-moving, and it really reads more like a novel than it does history. The best way to describe it is to call it pop history. From my perspective as a serious researcher, I always have trouble endorsing that sort of a work. 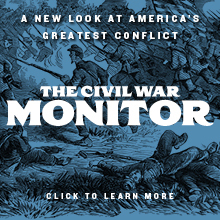 At the same time, well-written pop history will probably help to bring new readers to the Civil War, just as the Ken Burns film generated new interest in the war when it debuted. I think that the thing that bothers me the most about this book is that it was obviously written as a means of boosting interest in the forthcoming film that is going to be made. It’s almost like this book was written to drive movie ticket sales, and not the other way around, as most books that are turned into films usually work. I have already addressed the most interesting aspect of this forthcoming film: how 64 year old Harrison Ford is going to pull of playing 31 year old Lt. Col. Everton Conger, the secret agent who commanded the force sent to hunt down booth. The way I see it, this book is, at best, a very mixed bag. I can only hope that it won’t generate an whole new generation of poorly researched pop history. Loyal reader Russ Bonds passed this tidbit along. Thanks to Russ for bringing it to my attention. I found this to be one of the most appalling, inconceivable things I’ve seen in a long time. All that’s left of the historic marker at the site where Atlanta surrendered to Union Gen. William T. Sherman’s army is a broken post that bows toward the ground. The actual marker was knocked off the post by a truck last summer, and the state doesn’t have $300 to fix it. Moye said that up to 50 historic markers across the state are missing or have been taken down for maintenance. Several were in the repair shop when the money ran out and are still there. The state files insurance claims when it knows the driver or vehicle that damages a marker, but most times the signs are victims of hit-and-run accidents. Just in Fulton County, 10 markers are down, and the reasons for their demise vary, Moye said. Some historic markers could disappear and few people would care. The Surrender of Atlanta sign isn’t one of them. Jim Bruns, president of the Atlanta History Center, noted the irony in the marker coming down just as the history center is acquiring 50 Special Field Orders that Sherman penned during the Battle of Atlanta, plus two written by his aides. The orders show Sherman’s determination in his campaign to capture and destroy one of the Confederacy’s largest cities. The lack of a marker will make it challenging to find the site of Atlanta’s surrender. “But the real shame is that as we’re trying to develop collections and promote Civil War interpretation and tourism throughout Georgia, our battlefields are spread all over the state and these historic markers are an integral part of what we’re trying to promote,” Bruns said. The Surrender of Atlanta marker was erected in 1982 by the state Department of Natural Resources. It stood at the intersection of Marietta Street and Northside Drive, a few blocks west of the Georgia Aquarium. The sign presented a snapshot of the events of Sept. 2, 1864. “General Hood … and the Georgia Militia abandoned the city, Sept. 1, as a result of Hardees’s defeat at Jonesboro August 31, and marched S. to Lovejoy’s Station. Federal forces at Chattahoochee River Crossings since Aug. 25, suspecting the evacuation of the city on hearing loud explosions, sent forward a reconnaissance to investigate. Sherman’s field orders make it clear that he never intended to camp in Atlanta or garrison the city, Bruns said. So Sherman ordered the city destroyed. The field orders are to go on display by September at the Atlanta History Center, although Bruns is seeking $60,000 for the final payment. A MARTA bus reportedly hit a sign in Fulton County that marked the Montgomery-DeFoor House site, which was a 1,000-acre farm owned sequentially by two men who ran ferries across the Chattahoochee River. Two roads were named for them. The state can’t file an insurance claim because no one got the number of the bus, Moye said. Someone stole and tried to sell to a recycling company a marker of the Battle of Ezra Church, Right of 15 Corps, Moye said. It marked a failed assault by Confederate forces west of downtown Atlanta. The fate of the Surrender of Atlanta marker is unclear. It’s now in a private storeroom because state parks workers are too busy to retrieve it and Moye said she’s too small to hoist the 70-pound sign into her car. Hooks, the senator, said he’ll make a few inquiries. Bruns, of Atlanta History Center, reached for his wallet. “If the state needs $300 to put it back up, I’ll pay,” Bruns said. The fall of Atlanta is often considered to be THE decisive moment that guaranteed the re-election of Abraham Lincoln in the fall of 1864. Obviously, the site where that occurred is a critical spot, obviously well worthy of interpretation and being marked. The marker itself obviously already exists. So, we’re talking about a lousy $300 to replace the pole. Is the State of Georgia REALLY that poor? I first met Sean Dail through the Gettysburg Discussion Group a number of years ago. Since then, I’ve had a number of opportunities to stomp battlefields with Sean (most notably, Spotsylvania, with Gordon Rhea as tour leader). Sean’s a good guy, and a fellow lawyer. Sean has just launched his own blog. Check it out. Welcome to the blogosphere, Sean. On Friday, I posted about a debate that we’ve been having within the management group of Ironclad Publishing. It prompted an e-mail exchange with Drew Wagenhoffer, who correctly identified the campaign that I described but went out of my way not to describe. That e-mail exchange, in turn, pointed out the inherent conflict between Gettysburg scholarship and the rest of the Civil War. It never ceases to amaze me how many Gettysburg books have been written, and how deeply the Gettysburg craze goes. There are, for instance, multiple (at least six that I can think of off the top of my head) books that address nothing but the impact of the battle on the civilians of Gettysburg, as if that particular town was the only one so effected throughout the course of the war. Mark Nesbitt seems tomake a living writing books about, and advancing, Gettysburg ghost lore, having published half a dozen books just on that particular topic alone. There is a magazine devoted completely to the Battle of Gettysburg that has so far published something like 36 issues that delves into minutae like no other magazine I’ve seen. The depths of Gettysburg have been plumbed so deeply, in fact, that we’re left with utter garbage like Carhart’s book as the only “new” insights into the battle. Given that Carhart’s book is fiction masquerading as truth, that’s a pretty pathetic statement indeed. The percentage of Civil War devoted to the Battle of Gettysburg seems to run close to 50%. 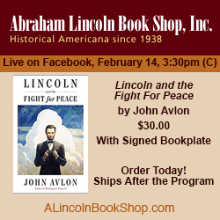 This means that there are only a relatively small percentage of books devoted to the other 10,000 or so battles and skirmishes that took place during the Civil War. This means that there are still plenty of fascinating actions that deserve a detailed treatment but have been completely overlooked by history for whatever reasons. There are, likewise, other large and extremely important battles that have not received the sort of detailed examination that they deserve. Chickamauga and Shiloh are two that come to mind immediately. Chickamauga, in particular, deserves a good microtactical examination, but it has not received one. I’m not sure why. Perhaps it’s that the battle is not perceived as being decisive. Perhaps it’s because Braxton Bragg is such a thoroughly dislikeable fellow. Perhaps it’s that William S. Rosecrans, the Federal commander disgraced himself and trashed an otherwise admirable career by fleeing the battlefield in the midst of battle. Perhaps it’s the perception that books on the Western Theater of the war will not sell. Perhaps, most of all, it’s that neither Robert E. Lee nor Stonewall Jackson nor Ulysses S. Grant were there. Whatever the reason, Chickamauga has been treated as a red-headed stepchild by many in the Civil War community, but it was one of the most tactically interesting and strategically significant actions of the Civil War. Another example comes to mind. There was, perhaps, no more important or significant campaign of the war than the Petersburg Campaign. Filled with hard, intense fighting interspersed among long periods of seeming inactivity, it was the Petersburg Campaign that ultimately broke the back of the Confederacy and finally hastened the end of the Civil War in the Eastern Theater. It involved both Lee and Grant, and the armies that seem to spark the most interest, the Army of Northern Virginia and the Army of the Potomac. However, other than Noah Andre Trudeau’s book The Last Citadel, I am unaware of there being any other comprehensive study of the campaign. given that this campaign lasted eight months, I find that remarkable. Personally, I’ve always been drawn to the obscure. The more obscure, the better. Things like Pickett’s Charge hold less than no interest to me. I couldn’t possibly care less about Pickett’s Charge, and if I never heard of it again, I wouldn’t be terribly disappointed. Although Gettysburg has traditionally been my first love, I’ve reached the point where I find the Battle of Chancellorsville more interesting. I’m much more interested in obscure actions such as the Wilson-Kautz Raid, or Sheridan’s Trevilian Raid, or Sterling Price’s 1864 Missouri Raid. It seems to me that there ought to be a happy medium, and that there ought to be a way to level the playing field a bit and to ensure that some of these other actions also get the attention that they deserve. It’s long overdue, but I’m also not holding my breath. The book business is already hurting, and the odds of publishers taking chances on things that are worthy but which may not have the commercial appeal of a Gettysburg book instead of yet another ridiculous and fictional version of Lee’s “real” plan for the Battle of Gettysburg are, sadly, not good. We’ve been having a major discussion among the ownership group at Ironclad Publishing about where we go from here in terms of continuing to grow our business. 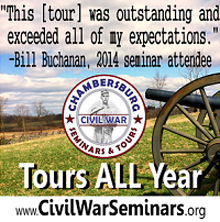 Several years ago, I came up with the idea for “The Discovering Civil War America Series.” The concept behind the series is to do a detailed tactical study accompanied by an equally detailed walking or driving tour. My idea was to focus on either a small and overlooked portion of a large battle, or an overlooked or interesting smaller action. There was a third prong to this, although we have yet to actually publish a book like this: a study of the role played by a specific city, such as Richmond, Atlanta, Charleston, etc. What I didn’t want to do was to cover something for a battle where there is already a Luvaas and Nelson guide, or something like it. The first book in the series was my study of the fight on East Cavalry Field at Gettysburg, an important but often overlooked aspect of the main battle of July 3. The second bookin the series is Jim Morgan’s excellent study of the Battle of Ball’s Bluff, which has sold far better than I imagined it would. The the third is our most recent title, a study of Sherman’s Carolinas Campaign from Fayetteville to Averasboro. Although this book has only been out for about six weeks, I’ve already had to order a second printing of it. It has also done far better than I had imagined it would. The second and third entries into the series fall into the second category of books that I described, while my book falls into the first category. The next volume, which will go to the printer in a few weeks, addresses the fighting by Winfield Scott Hancock’s Second Corps on the second day of the Battle of Gettysburg. It will, therefore, fall into the first category of books. Recently, we’ve been having a discussion about where to go from here. One of my partners has been advocating a study of a campaign that, while strategically interesting, did not feature a major battle. While it’s interesting, and while there might even be something of a market for a book on this particular campaign, I can’t imagine that it would sell enough copies to make it worth our while. As it would also be a full campaign study, it would not fit into any of the three categories for books in our series. I just don’t think that it’s worth investing a lot of our limited funds and resources into a book that would have limited market appeal and which would not fit into our business model. Most of my partners agree with me on this, but the person who has been advocating it remains steadfast about pushing it. These sorts of debates are good for a company. The free flow of ideas and the ability to air our differences is clearly good for the company. However, there also comes a point where the discussion becomes frustrating, as neither side is able to persuade the other to see things as they do. I won’t change my mind about this, and I doubt that my partner will change his. Hence, we’re at loggerheads here. Since we run our company as a democracy, he will be outvoted, but I can’t help but wonder if he will understand that the reason is that it doesn’t make business sense, and not because we think he’s got a bad idea. I had lunch with fellow blogger blogger Mark Grimsley today. We had a chance to discuss a number of interesting topics, including blogging. Mark was one of the very first entrants into the blogosphere, and either maintains or participates in three different blogs, including Civil Warriors, a blog that he maintains with Brooks Simpson and Steve Woodworth. When I started this blog, I specifically Mark’s blog as one of my primary inspirations for undertaking blogging. One thing that strikes both of us is the wide variety of people who give their time and energy to indulge our blogs. Mark tracks statistics on his sites, and has been really amazed by the number of people who regularly read his posts. In my case, I’m just getting started with paying attention to the statistics, but the number of regular readers who indulge my rantings really humbles and impresses me, all at the same time. Both of us also paid tribute to the godfather of Civil War blogging, Dimitri Rotov. In my case, Dimitri was the other primary inspiration for my decision to begin ranting. In case I haven’t expressed my gratitude to all of you who indulge my rants, I hope you all understand how much I appreciate that you find time in your busy schedules to indulge me and my rantings. I really appreciate it. Here’s the bottom line. Since Cleo had her stroke, I haven’t written a word on my book manuscript. Not one. First was dealing with her and dealing with grieving. Then came little Aurora. And she is a handful. Like most nine-week-old puppies, she’s a fountain of energy. She knows two speeds: full bore and crash and burn. There is no middle ground. She goes and goes and goes until she hits the wall, and then it’s sound asleep. The problem is that, like most puppies, she’s incredibly curious, wanting to investigate everything and see what it is. So, she’s all over the place all the time, either exploring or wrestling with Nero. That, in and of itself, is not that bad. What’s bad is that the overwhelming majority of nine-week-old puppies are not housebroken, and neither is Aurora. We’ve got her on the road to housebreaking by crate training her and by taking her out every half an hour or so and then praising her when she pees outside, but the fact is that she has at least one accident per day in the house. One of us has to watch her virtually every minute in the hope of fending off accidents. This morning, while I was in the shower and Susan was getting ready for work, Aurora peed a big one on the rug in our bedroom because Susan was getting dressed and took her eye off her for a moment. It happens that quickly. So, when I’m at home, I’m usually chasing after her. There’s also the sleep deprivation factor, which cannot be underestimated. The rule of dog care in our house is that we alternate nights/mornings. That way, the load is shared equally. Last night was my night. Aurora got me up to go outside at 2, 4:50, and 6. Of course, I had to go outside with her, dressed in shorts, t-shirt, and slippers on a windy night that got down into the low 20’s. Needless to say that by the time I finally got her to pee, I was one seriously cold guy. Then, it’s back upstairs, put her back in her crate (for which she will whine and cry for a while), and try to go back to sleep. The second time was that she was awake, was lonely and bored, and wanted attention. She didn’t even have to go when I took her outside. The net result is that I am terribly sleep deprived today. And I don’t see it getting any better for another month or so, until she’s a little older and a little bigger. That, however, means that not much productive will get done on my various writing projects between now and then….. When J. D. and I wrote our manuscript on Stuart’s Ride in the Gettysburg Campaign, we wanted the book to have a foreword written by a prominent historian. Experience shows that a good foreword can help sell books, and it can also lend credibility to the work. I’ve been fortunate enough to have the likes of Jeff Wert and Gordon Rhea write forewords for my work, which I have always really appreciated. One well-known academic historian had originally agreed to do this for us, but circumstances prevented him from fulfilling the obligation. Unfortunately, he waited until the last moment to tell us. We have perhaps two weeks before it would be entirely too late, as we are in the process of reviewing page galleys and making final revisions as I write this. If the book is going to be out in mid-June, as we have planned, there is very little play available in the schedule or else we won’t be able to meet that date. Fortunately, I know Mark Grimsley, who teaches history at Ohio State, and who maintains two different blogs that are linked to this blog. I approached Mark today, hat in hand, and asked him if he could help us out and get a foreword together for us in just two weeks, as that’s literally all the time that’s available for getting this done and for us to meet our publication deadline. It’s going to cost me lunch at a nice restaurant, and I will, of course, now be indebted to Mark. However, I definitely think it’s worth it, and I really appreciate Mark’s willingness to do this for us, especially on such short notice. Mark is a guy with a great deal of credibility, and having his name appear on our book and having his words in it will only make what we hope is already a good book an even better one. Thanks, Mark. In addition, while I was in Tennessee last week, I had a chance to peruse a rarely seen and rarely used source. Basil Duke, who was John Hunt Morgan’s chief lieutenant, was the editor of a Confederate veterans’ publication called The Southern Bivouac, which was very similar to the Southern Historical Society Papers. The Bivouac was, in fact, patterned on the SHSP. However, unlike the SHSP, the Bivouac was only published for six years. It’s very rare. I didn’t know that my friend Greg had a set of the Broadfoot reprints of the Bivouac until I got to his house; it’s a recent acquisition by him. So, after my talk the other night, I spent an hour or so, going through the six volumes one page at a time, looking for whatever might be of interest, but in particular, looking for stuff on Morgan’s 1863 Indiana and Ohio Raid (I found and copied half a dozen or so articles, none of which appear in any bibliography of the raid I’ve yet seen). Imagine my surprise when I found an account of Stuart’s cavalry in the Gettysburg Campaign–including Stuart’s Ride–that I had never seen or even heard of previously. None of the prior published accounts of the raid mention this account, let alone use it. What’s more is, it’s GOOD. There’s some really good material in this thing. So, here we are, at the last moment, adding new and previously unused primary source material to the book. Again, we’re fortunate here. We’re lucky to have Ted Savas, who is not only understanding but also supportive, even though we’re adding work for him by making significant additions at the last possible moment–in this case, during the process of reviewing and correcting page galleys. This process of researching and finding new materials seems never-ending. And, my experience shows that it is, in fact, never-ending. That’s what makes this so much fun.